Jo returns to South Africa after ten years in the UK to cover the riots sweeping the Jo’burg township of Alex. Nico, her estranged Afrikaner father, reappears and asks her to help prove his innocence in the murder of a black man, abducted by the security forces decades earlier. As they set off on a road trip through South Africa’s now-unfamiliar landscape, it becomes clear that Nico knows more about the murder than he is letting on, and Jo begins to wonder whether she is his accomplice, or his captive. 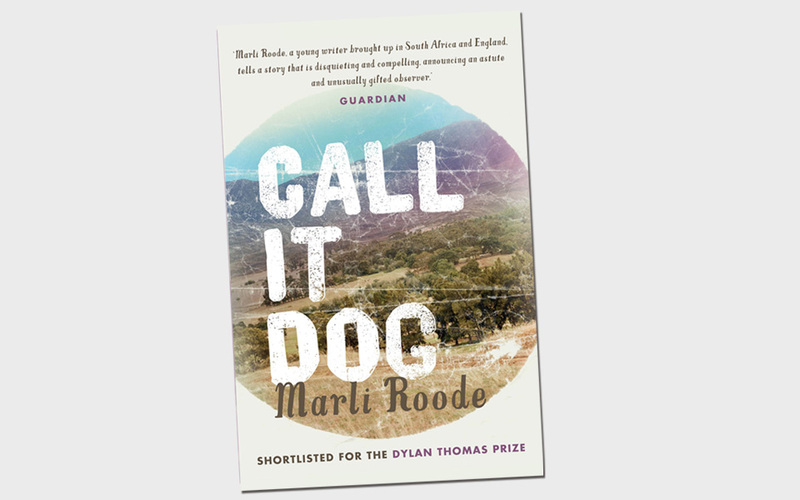 Set against the backdrop of a country struggling to absorb its bloody history and forge a new democracy, Call It Dog asks whether justice and truth are more important than the bonds of loyalty and love, and explores what is it like to feel you no longer belong in the land of your birth – or to your own family. I find him in Empangeni. My father lies on his back at the edge of the sugar-cane valley, one arm under his head, the other flung out, fingers plaiting scrub and yellow weed flowers. The camera next to him is shuttered and blind. He squints at the wavering sky, which moves with heat if not with wind. Empangeni rises behind us: tinshanties glint through the sugar-mill smoke and dusty tracks cross thered hills to mark mission churches, now crumbling. In front of us, thegreen swarm of cane stretches to the horizon. ‘When did you get here?’ I ask. I stand over him, waiting. We’re quiet, at right angles to each other.I close my eyes and lift my face to the sky as though hoping to feelrain. But the early-morning sun burns through my eyelids, red lightsuddenly inside my head. ‘How did you know I was here?’ I ask. The heat touches my shouldersand chest, a blessing. He speaks in a British accent, mispronouncing my surname the waythey all do. His would be no easier for them, the rolling r of Roussouwsomething only the Welsh would be able to attempt. ‘The articles were good,’ he says. His compliment surprises me. ‘Thanks.’ I look down at him, the sunspots fading from his skin and clothes as my eyes adjust to the light. Lying down, my father’s belly slopes up from his ribcage. I wonder if it will hang over his waistband when he stands up. He’s grown a beard, which is red and grey in patches, and his nose has been broken since I last saw him. It’s hooked now, but at fifty-three, he’s too old for it to be handsome. Tumelo’s a war correspondent and has been taking photos much longer than my father has. I sometimes search stock-photo libraries for the pictures my father takes – of steaming bowls of pasta and sauce, moist slabs of cake. I want to ask how his slathering shoe polish onto raw meat and frosting grapes with hairspray qualifies him to judge, but I know better, even after so many years. ‘Most of the other journalists out here from overseas, it’s obvious they’re staying in nice hotels in Jo’burg,’ he says. I too have been staying in a nice hotel in Jo’burg, spending the money my grandmother left me on swimming pool access and a queen-sized bed. But I haven’t been able to sleep in it. ‘Thanks.’ I wonder how long he’ll let me have this.